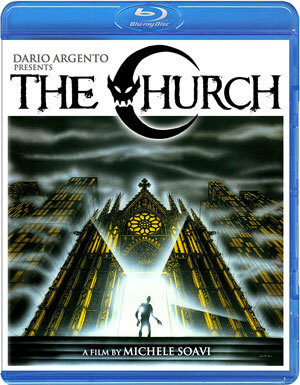 The third installment in Doppelgänger Releasing and Scorpion Releasing’s ongoing series of restored films from Italian horror auteur Dario Argento, the 1989 Gothic chiller The Church has been scheduled for release in March. The Church is set in present-day Germany in an elaborate medieval cathedral that was once the site of a massacre of a village of supposed devil-worshippers by a band of crusading knights. When the church’s new librarian (Tomas Arana) breaks the seal of the building’s crypt, he releases a cabal of evil spirits that are contained beneath it. At the same time, the church’s automated mechanisms are triggered, causing its doors to close and trapping everyone inside. The laws of reality soon collapse as a nightmare takes hold and claims the lives of those within one by one, threatening to unleash a supernatural pestilence upon the world! In this movie, Soavi was given an opportunity to fully explore his dreamy, stream-of-consciousness approach to the genre, complete with rich visuals, strong set pieces, and an overall creepy atmosphere. 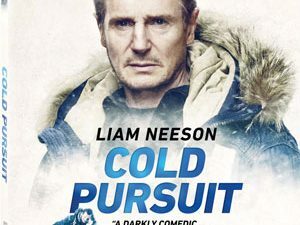 It is complemented by an evocative soundtrack, composed by the late, great progressive rock musician Keith Emerson, minimalist virtuoso Philip Glass, and the Italian prog-rock band Goblin. Aside from the acclaimed film itself, co-produced and co-written by Dario Argento and directed by Michele Soavi, the release will also include a new Interview with actress Asia Argento, as well as the movie’s Original Theatrical Trailers. The Church will be available on March 20 for $24.95 on Blu-Ray Disc.